Displacement: 11,700 lbs. Draft: 4′ 6″ Ballast: 4,800 lbs. This classic design not only has a great look but is also a wonderful sailing boat. 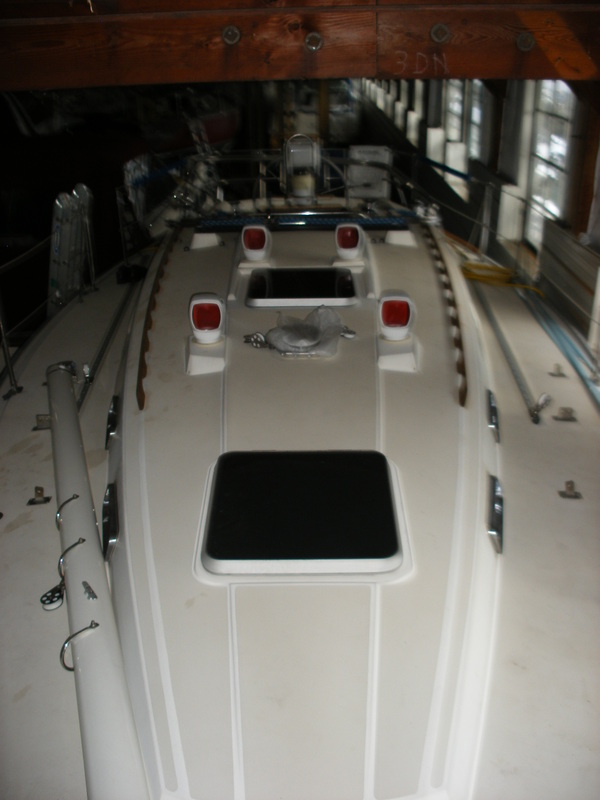 Another great feature of this fine boat is the wing keel that gives the boat a very moderate draft of 4′ 6″. 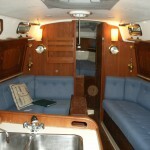 The interior features a large v-berth area forward with a hanging locker and a vanity with sink. 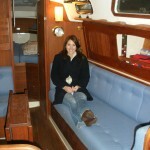 The main salon has a strait settee on the starboard side and a u-shaped settee on the port that converts into a double berth. 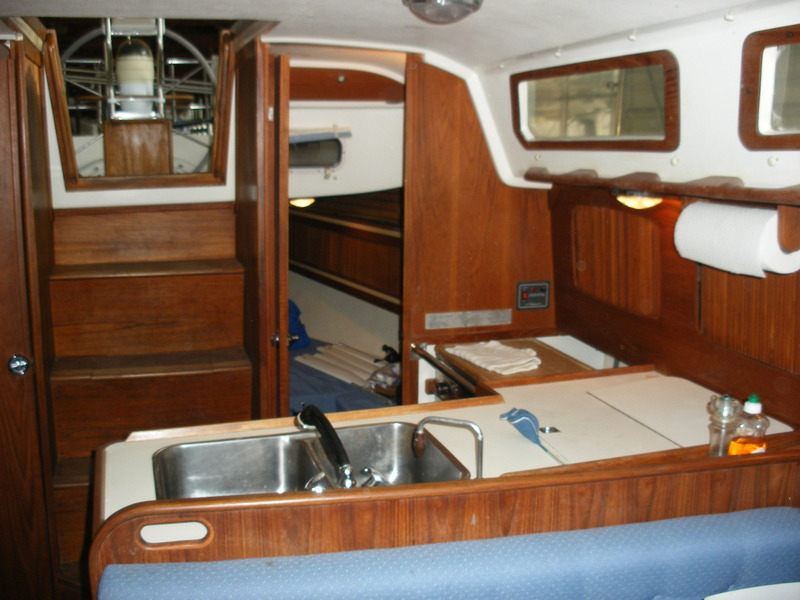 There is also a beautiful bi-fold teak table on the centerline. 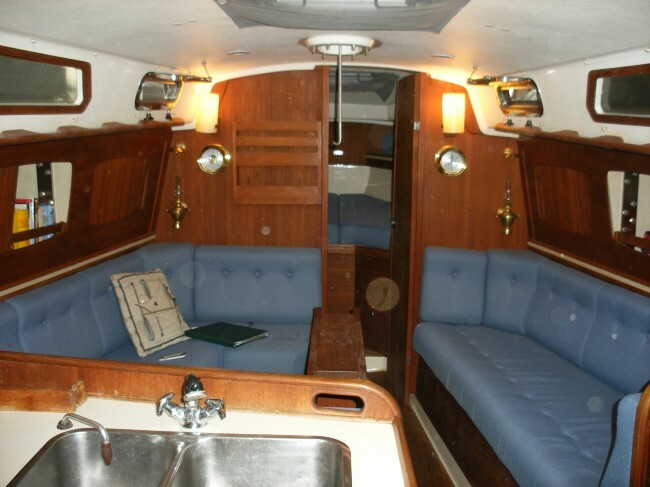 The navigation station is located in the starboard aft part of the salon and the very complete galley is located on the port aft part of the salon. 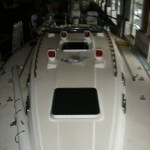 The aft cabin has a double berth hanging locker and a privacy door. 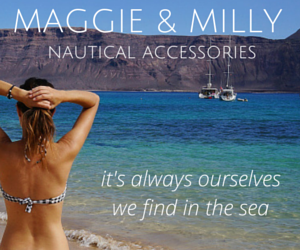 The large head is behind the navigation station. 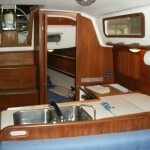 The interior is finished in teak and the cabin sole is teak and holly. 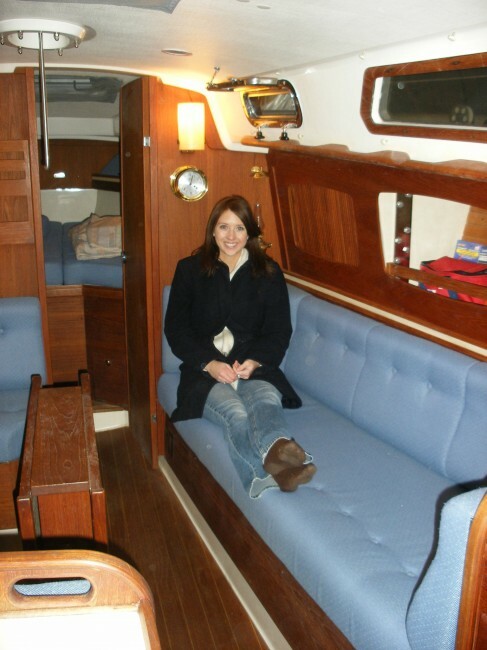 The cabin cushions are blue. Hull and deck are white. The boot stripe, feature stripe and cove stripe are dark blue. 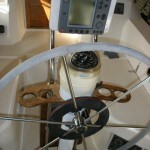 There is complete canvas including a dodger and bimini. 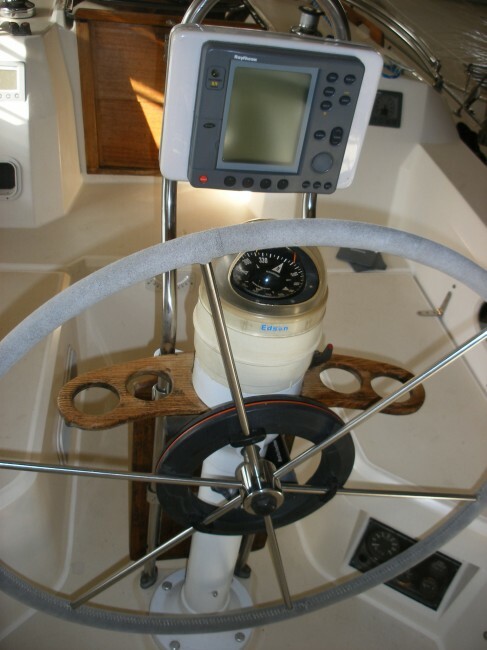 The dodger has an aft grabrail and there is a connector panel between the dodger and the bimini. Canvas is blue. The boat has been retrofit with stainless steel portlights. 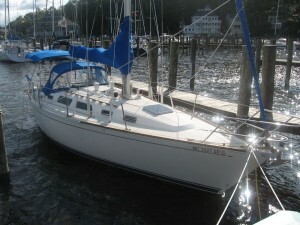 The boat comes with a North mainsail, a roller furling genoa and a 3/4 oz. gennaker with a sock. 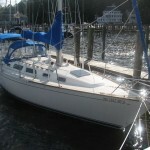 Mast was repainted in 2006.